Looking to fill up your iPhone or iPad with free apps? 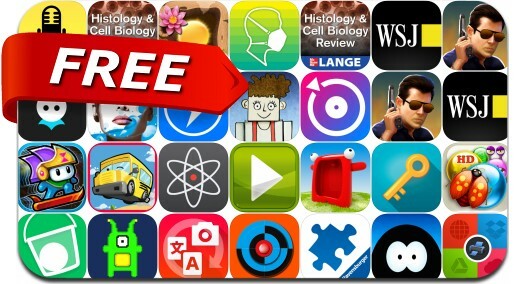 Great apps go free on a regular basis, just like these 25 apps. This apps gone free alert includes Time Surfer, Being SalMan, Orbit Run, Instaflash, Translate Photo, Drop Flip, Talking Carl, Keymoji, Zepi: Classic, What’s News, Cartoon Geek, Color Accent, Albert and many others. How To Play ◉ Tap OUTSIDE the BLUE circle to shoot ◉ Try to shoot the RED circle located in the CENTER ◉ Don't SHOOT the BLACK!! !